Only a few weeks before the COP21 in Paris is going to start, the French minister Ségolène Royal has inaugurated an European showcase for innovative circular flow economy: The BIOVALSAN project, the first wastewater treatment plant, utilizing wastewater of a metropolis to produce biomethane. With regard to the actual development in French energy transition, the minister explained how the promotion of biogas will continue. The new feed-in tariffs for electricity produced by existing plants will be published in a few days. Biomethan will also get further promotion, as the co-use of BioGNV will become an obligation. If the new tariffs will not lead to reach the goals for rising the biogas production, tenders will be published. 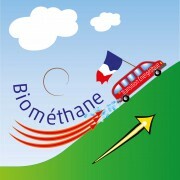 The wish, that with the inauguration of Biovalsan a series of innovative projects will start, is not in vain. There are more French projects proceeding from preliminary studies to planning phase.